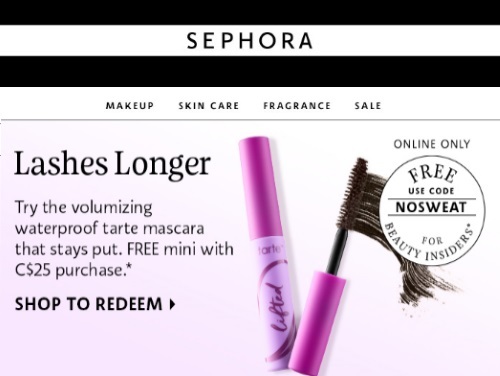 Sephora has another new Free Deluxe Sample! Get a Free Tarte Lifted Sweatproof Mascara with any online purchase of $25 or more. Enter the promo code NOSWEAT at checkout. Offer is valid online only for a limited time. Valid while supplies last; quantities are limited.